Klain is also a major Democratic operative, serving as Chief of Staff for Vice Presidents Al Gore and Joe Biden. 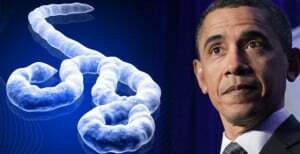 As such, it is not unlikely that he will be motivated to cover up for any missteps by Obama and CDC chair Tom Frieden. Ron Klain is a fixer who is well-connected and knows his way around the exec branch. His skill is fixing PR problems, not logistics. He’s not a doctor … just a spin doctor.